Osteoporosis is a disease in which bones become fragile and more likely to break. If not prevented or if left untreated, osteoporosis can progress painlessly until a bone breaks, typically in the hip, spine or wrist. 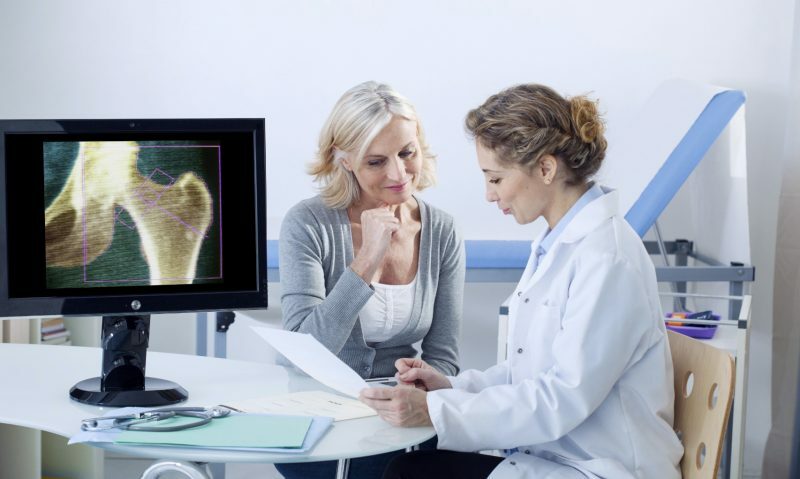 Bone density tests are the only way to detect low bone mass. Most insurance companies will pay for annual bone density exams, and Medicare will cover biennial screenings. You will either lie on a table or place your arm, foot or hand in a small device that is on the table. You will be asked to lay very still and hold your breath briefly while the x-ray machine captures the images. You should not take calcium supplements for at least 24 hours before your exam. Tell your doctor if you recently had a barium exam or if you received contrast material for a CT scan. Also, be sure to inform your doctor or technologist if there is any possibility that you might be pregnant. Wear comfortable, loose-fitting clothing, without zippers or snaps.